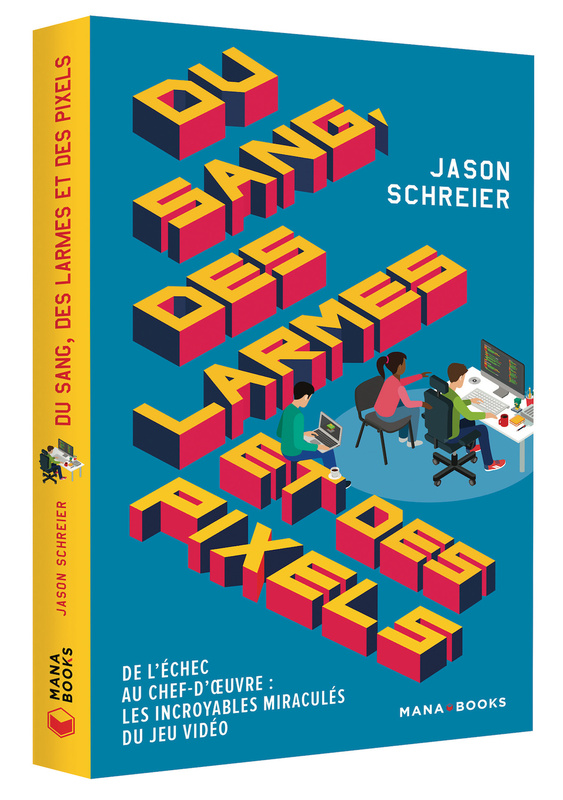 Journaliste new-yorkais spécialisé jeux vidéo et désormais « auteur », depuis la sortie de son livre Blood, Sweat & Pixels en septembre 2017 aux USA, le new-yorkais Jason Schreier est venu à Paris présenter l’édition française de son livre *. Une démarche un peu inattendue, voire incestueuse dans le milieu des journalistes jeux vidéo qui connaissent normalement le même sujet sur le bout des doigts. Cela étant dit, Jason a vraiment travaillé son affaire. Le bouquin regorge de détails intéressants sur la réalisation de 10 jeux, même quand on est familier des studios en question. Alors plutôt que de lui faire répéter les anecdotes « gaming » que chacun peut trouver dans le livre, j’ai préféré l’interroger sur le making of du bouquin et connaître son regard d’américain sur l’évolution de l’industrie du jeu vidéo. Comme j’en ai l’habitude, on trouvera ici en deux parties l’intégral de cet entretien en anglais original. Une toute petite partie synthétique doit être publiée en français dans un mensuel. Je traduirais l’ensemble en français un jour ou l’autre. Bliss : When and how did you start writing about games ? 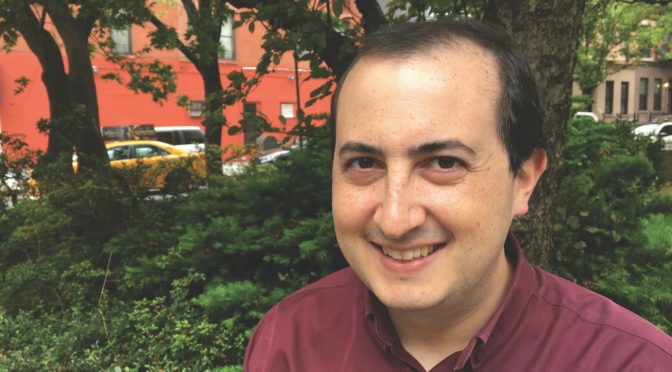 Jason Schreier : I think it was 2008 or 2009… I’m 31 now, so 10 years ago I started freelancing for different websites… I’ve always been interested in doing journalism, and writing, so after I graduated from college in New York University I was doing freelance writing on any subjects. And I was very bored because I was going to meetings, like local government meetings, city councils and stuff like that, out of my mind bored. Eventually I thought that I should write about something more interesting like, say, video games. I decided to look if it was possible and I started freelancing for video games websites. I would send emails to every websites I could find and pitched myself to them that I could do reviews. At some point I got a job writing for Wired and their magazine and their website. I was a contributing writer for a couple of years when I got an email from Stephen Totilo (Kotaku Editor In chief) asking « Do you want to come to work for me ?». And I have been writing for Kotaku for six and a half years now. Bliss : You’ve been recruited by Kotaku from Wired ? Not bad. At Wired you wrote about games or other subjects ? J.S. : No, only about games. Game culture, game industry, the stuff I was most interested in. Bliss : Do you have some special convincing skills that you used to convince Wired to let you in and then convince all the games studios you talked to to write your book ? J.S. : The quality is just being very annoying (big laughs). Just bugging them over and over (laughs). But it’s a lot of things. I think I try to be very fair, they know that if I write about them it’s going to be fair, truthful and honest and that I’m not going lie or anything. They know I’ll treat them fairly. I think that’s the big part of it. J.S. : Most of them are familiar with the stuff I was doing for Kotaku so they already knew me, yes. Bliss : Kotaku is part of a network (Gizmodo Media Group ex Gawker). Do you have any constrains or obligations regarding to this group, or are you free to write what you want ? Is there a company higher hierarchy you have to answer to ? J.S. : We’re part of a bigger company. The company’s decisions affect us all and we have sisters sites that are all part of a family so to speak, but nobody comes up and says « you can’t write about this and you should write about this ». I don’t think I would work, I think I would quit if someone would tell me I can’t write about this. Especially if it was… because « we have advertisers that won’t be happy ». Bliss : So it doesn’t happen ? J.S. : No. It’s never happened to me fortunately. Bliss : Sorry also for this question but as a journalist are you on a monthly salary or freelancing ? J.S. : No, regularly salary, yearly we call it in the States. The paycheck is twice a month. Bliss : The book is out since September 2017 in the US, how is it doing ? You have some numbers to share ? J.S. : It’s doing alright. I can’t show numbers but I just agreed to make a second book so it did well enough. Bliss : The second book will be a follow up on the first ? J.S. : It’s going to be a little different, but it will still be about video games. We’re still trying to figure it out so I don’t want to talk too much about it because I’m still like structuring and figuring out the best way to do it. But it will be about games and I’ll talk to people who make games and that sort of thing. Bliss : How come as a journalist you had an agent ? How did this happen ? J.S. : In the States, in order to sell a book to a big publisher, you need an agent. My agent, Charlie Olsen, and I knew each other before. We encountered each other and had a drink in the past. One day he emailed me after an article I wrote about Destiny in octobre 2015, and said : « We should talk about doing a book like this ». So he and I talked, we had a couple of meetings at lunch and formulate a plan. And what we did was, we made an outline and we took that around to different book publishers. Because the processing in the States is you : pitch it to book publishers, some will say yes and some will say no. And that’s what the agent is for, he handles the business side and negotiations side. So Harper Collins liked the idea, we met with them a couple of times, they really like it and that what lead to the book. Bliss : It took two years to write the book. Did you keep your job as journalist at the same time ? J.S. : Yes, it was a little tense (laughs). I had a little bit of time off to make reporting trips to some studios and fit into the schedule. But the writing itself I did on nights and week-ends mostly. Outside of Kotaku work. Bliss : When you work for Kotaku do you have to go to the office dayly or do your work from home ? How does it work ? J.S. : I go to the office pretty often yeah. I’ll say once a week or so. Bliss : It’s not like you have to be there everyday ? Bliss : Just like a freelancer journalist then. Bliss : You interviewed around a hundred people… Is everybody named in the book ? J.S. : No, not everybody. I would say like 80% are named in the book. The Destiny chapter and the Star Wars 1313 chapters were the two with the more anonymous people. I named a few people but some stayed anonymously. Bliss : Your investigations were authorized, yes ? You didn’t go undercover anywhere. J.S. : Yes. No I didn’t go undercover. I think it would be a little difficult to do. J.S. : Right. The studios were involved in most of the chapters in the book. They let me in and I talked to the people working on Dragon Age or Uncharted. So I went to those studios, and sat there, and interviewed people. They were okay with it and officially approving it. With Destiny, like I mentioned, they didn’t want to participate. They don’t like me because I reported on their games too much (laughs). The people at Bungie’s who made the game didn’t want anything to do with my book, so I had to go around them, and talk to people who weren’t necessary supposed to be talking to me. Bliss : How did you find those people then ? J.S. : Mmm different ways. The people I known from previous reporting or people I knew I just reached out to. Bliss : Did some studios asked to read your writing for approval or some sort before publishing ? J.S. : If people would’ve asked I wouldn’t let them. I don’t know if anybody asked but I think they would all know I wouldn’t let them do that. A couple of people asked to fact check. If someone might say « can I see this quote juste to make sure you quoted me correctly » I would say « okay, but you can’t change it because you already said it ». So they said « fine ». But nobody has read the book before it came out. Bliss : Did you sign any NDA (Non Disclosure Agreement) before talking to people or visiting studios ? Bliss : How do you know it’s secret or not ? J.S. : (laughs) That’s the question, right ? J.S. : Exactly. I went to EA’s before they announced Bioware’s Anthem, so they wanted to make sure I wouldn’t sneak around and see it. So they only allowed me on one floor of the building. They didn’t let me go upstairs. Bliss : Did you spot anything interesting at the time ? J.S. : The purpose of the book is not to report on leaks or scams or anything like that. I knew that some people would be a little anxious for a couple of chapters. But no, I wasn’t too worried about it. Because all that matters is that it’s the truth, right ? The truth will always stands out. Bliss : Did you get any backlash from any studios once the book was finished ? J.S. : No, not really. If there was a backlash they are quiet about it. They just don’t talk. Bliss : No studios pulled any PR stunt saying this or this is wrong, « this is not an accurate vision of our studio » ? Bliss : So your thing is bullet proof ? J.S. : I hope so (laughs). Bliss : Did you have some inputs or comments once the book was out ? From the people who are working in those studios for instance ? J.S. : Yes, I got a lot of comments. Some people send me emails like « oh yeah I read your book » and wanted to say nice things.